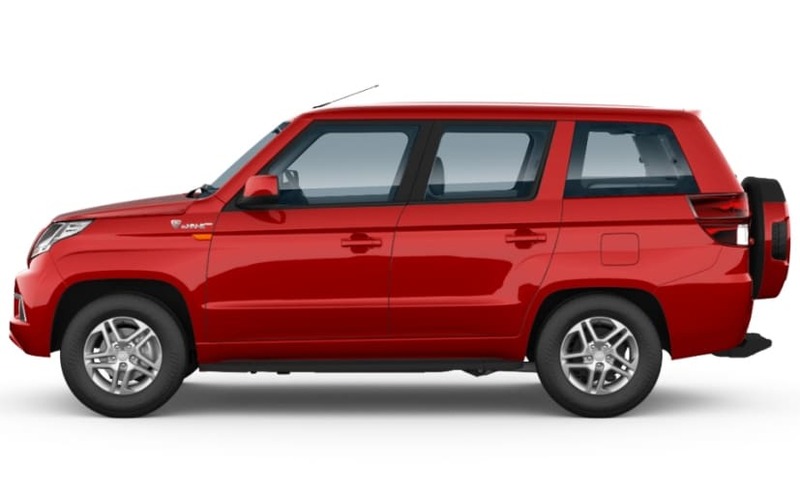 Mahindra offers the TUV300 Plus in three variant options - P4, P6 and P8, priced from Rs. 9.60 lakh to Rs. 10.98 lakh (ex-showroom, Delhi). The Mahindra TUV300 Plus is finally on sale in India and unlike its sub-4 metre counterpart, the new model is 9-seater SUV. 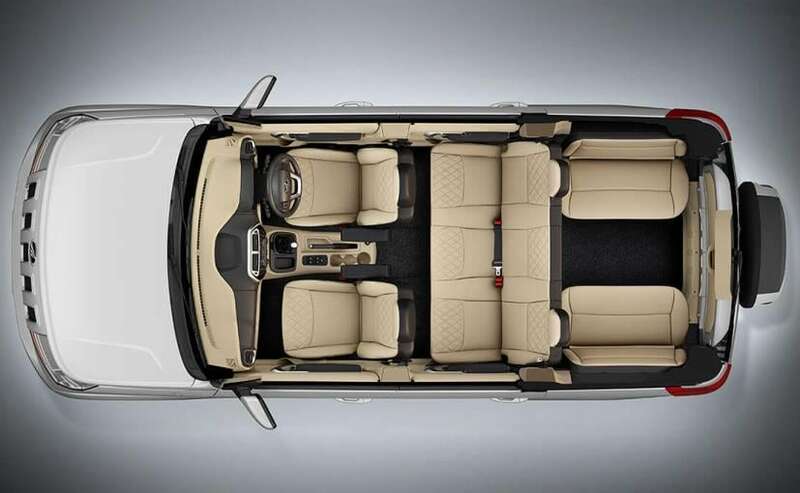 While the TUV300 Plus is based on of the standard TUV300, the SUV gets a bunch of new exterior and interior features, and it also comes with different variant classification. Mahindra offers the SUV in only three variant options - P4, P6 and P8, and is priced at ₹ 9.60 lakh, ₹ 9.95 lakh, and ₹ 10.98 lakh (ex-showroom, Delhi) respectively. 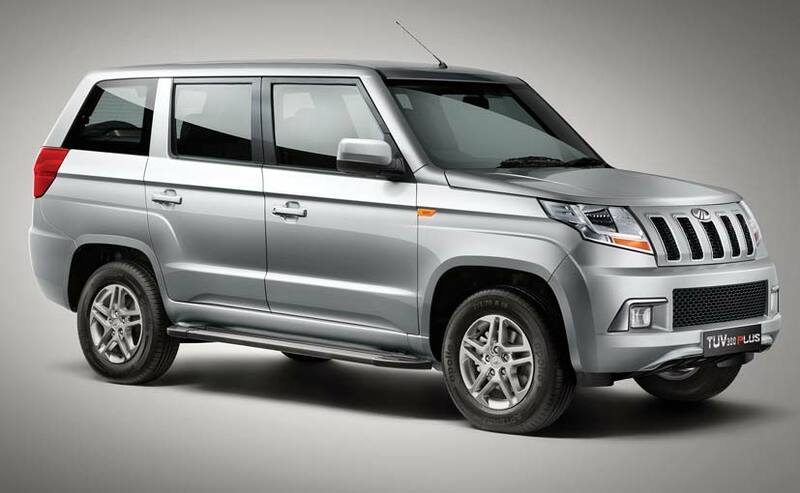 Features offered in the base model of the TUV300 Plus are pretty much similar to what the base variant of the TUV300 offers. 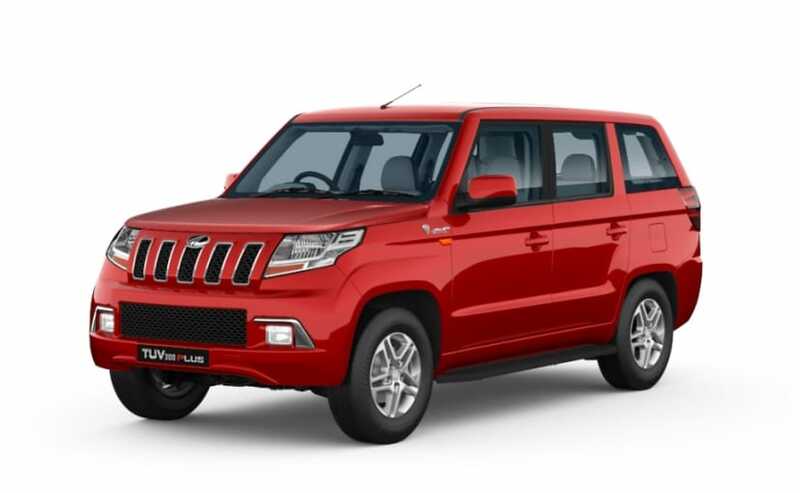 On the exterior front, the SUV comes with body coloured grille and bumpers, halogen headlamps, black ORVMs and door handles, 16-inch steel wheels, moulded spare wheel cover with Mahindra badging, rear footstep, standard taillamp, and high mounted brake light. The cabin, on the other hand, comes with vinyl seat covers, twin-pot instrument cluster, power steering with tilt function, manually operable ORVMs, all 4 power windows, cup holders at the centre console, and bottle holders on front and rear doors. For added convenience, the TUV300 Plus also comes with mobile charging points (front and rear), air con system, and flip key. Sadly, the base model doesn't come with dual airbags and ABS and features basic offerings like digital immobiliser, seatbelt remainder lamp, speed sensing door lock, side intrusion beam, Hazard Lights on Panic Braking, and collapsible steering column. In addition to the features offered with the P4 variant, the P6 trim comes with features like - body coloured door handles, body coloured ORVMs, and wheel covers. As for the cabin, the only difference compared to the P4 trim is that the P6 gets fabric upholstery. On the other hand, in terms of safety offerings, the P6 does offer, dual airbags and ABS, along with the aforementioned safety features from the P4 variant. Adding to the features offered in the P6 variant, the top-end P8 variant of the Mahindra TUV300 Plus comes with offerings like - chrome inserts for the grille, lead-me-to-vehicle and follow-me-home headlamps, front foglamps with chrome elements, 16-inch alloy wheels, blacked-out pillars, and side footstep. The cabin, on the other hand, offers features like faux leather upholstery, piano black treatment for the dashboard, chrome rings for twin-pod instrument cluster, silver accents for the air-con vents, silver-finished inner grab handles and steering garnish. The P8 trim also comes with a 7-inch touchscreen infotainment system with GPS navigation, 4 speakers and 2 tweeters. 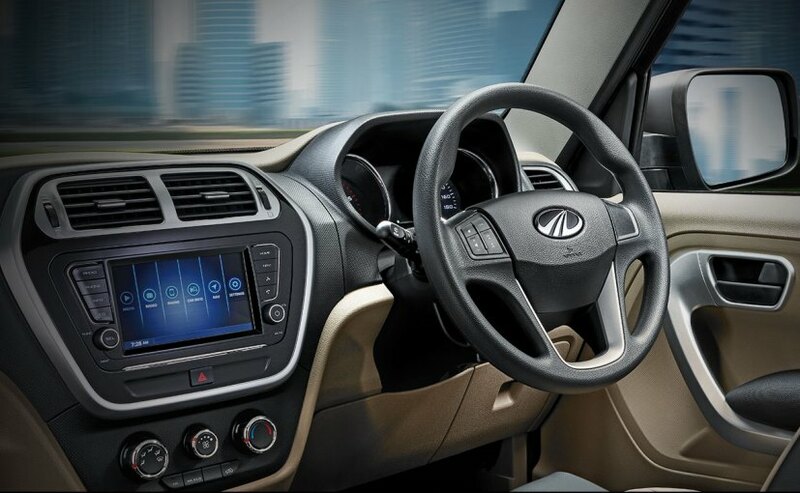 The system also features Mahindra Bluesense Mobile App, interllipark reverse assist, driver information system, and voice messaging system. The ORVM's are electrically operable, the steering comes with mounted controls for audio and phone, and the SUV also gets rear defogger, and rear windshield wiper. The top-spec model also features keyless entry, remote lock, driver seat height adjuster, individual armrest for driver and front passenger, lumbar support for front seats and an illuminated glove box. Some add-on features for the P8 trim include - storage tray below driver's seat and full fold function for the second row.